Hizb Islami of Gulbadeen Hikmat Yar which is third biggest group fighting against American and Nato forces in Afghanistan has denied to do Ceasefire in Afghanistan with Afghan and Nato forces. 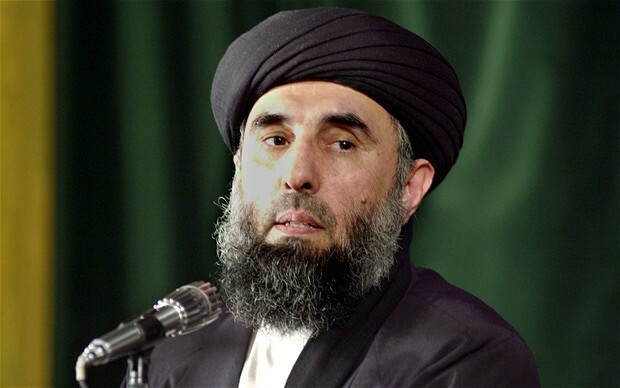 Spokesman of Hizb Islami Haroon Zargon has said that dialogues does not means that we have accepted the Karzai government so we will not stop the fight. He said demand of Foreign forces from Afghanistan is same by Hizb Islami and Afghan Taliban and both of them will not put down the weapons. He sadi dialogues will never succeed until Afghan Taliban are also included in dialogues so they must also be included and we are ready to contact them for this purpose. He said basic purpose of Hizb Islami is freedom of Afghanistan from occupation of foreign forces and provide Afghan people a peaceful life. From last few months Americans and Nato Forces are trying to do dialogues with some groups and trying to buy some with money to get success in Afghanistan but the main man who is fighting for freedom of Afghanistan is Mula Umar Chief of Afghan Taliban so until he is included in dialogues there are no chances of Peace.